The word Cologne might bring to mind Brut, or something equally whiffy your school boyfriend used to douse himself in, but there’s so much more to this classic perfumery style. Technically speaking, Eau De Cologne is a fragrance made with fresh, citrusy, herbal notes, so has bags of modern appeal on crisp spring days. Colognes are generally clean, well balanced, gender neutral (very 2019) and can be spritzed with abandon on skin, hair and as the French do, clothes, without suffocating whoever sits next to you on the train. 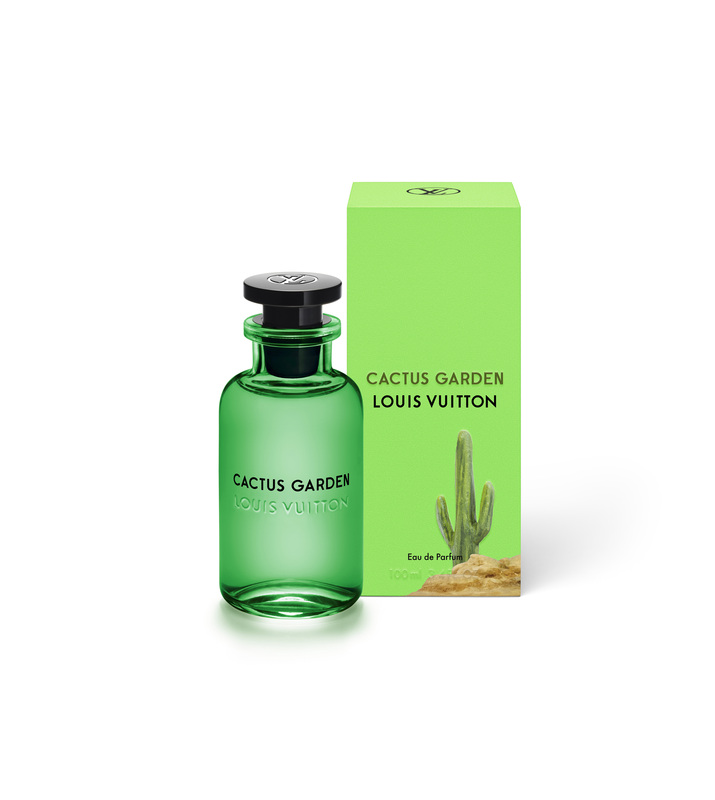 Leading the way on the current cologne revival is Louis Vuitton with a collection of three new Colognes inspired by California; Sun Song, Cactus Garden and Afternoon Swim. As you’d expect from the très chic French house the first thing you’ll notice about these fragrances is their appearance. The three gloriously bright glass flacons that burst with dressing table appeal and sit in pop-art bright boxes designed by LA artist Alex Israel. Of course, it’s what’s on the inside that counts, and Le Maison Louis Vuitton do not disappoint on that front either. Think of the dreamiest, most impossibly perfect holiday you’ve ever (or never) had – one where the sun shines every day but there’s always a breeze when you need it, the days are lazy and laughter-filled and the nights sultry and long. The cuisine expands your gastronomic horizons, you pack the perfect wardrobe for every eventuality so that not one item comes back unworn and you fall so deeply in love with the landscape, culture and your travel companion you decide to never go home. This collection is that, bottled. 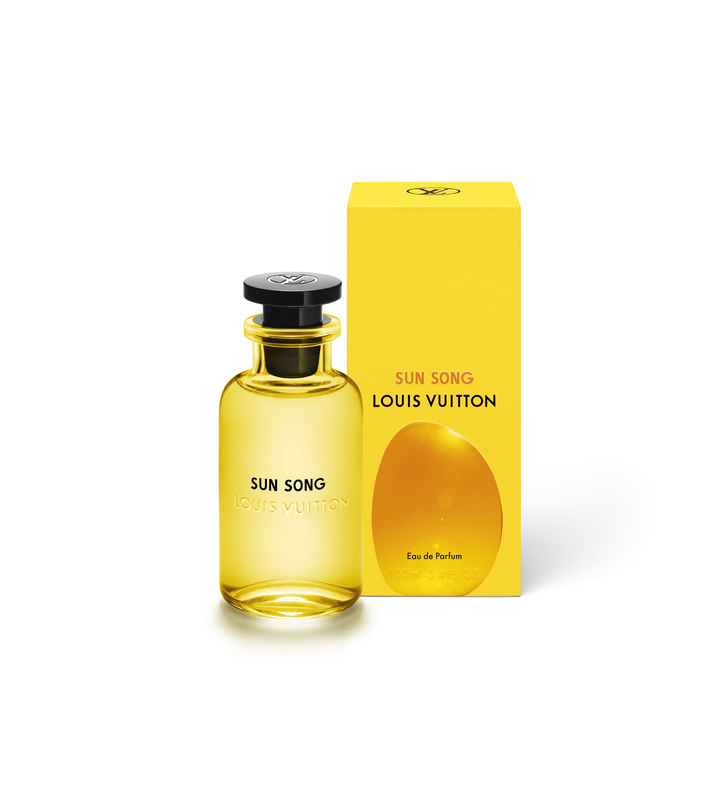 Sun Song, in its juicy yellow bottle, is one of those scents that can’t fail to raise a smile. The blend of orange blossom absolut and neroli makes for a deliciously a zesty opener, then dries down to warmer, softer notes of musk. Afternoon Swim starts with a wave of freshness from punchy orange and mandarin then mellows out with ginger and ambergris. Then there’s Cactus Garden, my favourite of the trio, and definitely the most unusual of the three. The overall feel is of a dense, lush greenness, like a botanical garden hothouse, nicely set off by yerba matè, a smoky South American tea, and balanced by zippy acidity from bergamot and lemongrass. Of course, this much quality comes at a cost, £185 to be precise, but that is reflected in the quality of the ingredients, the artistry of the design and the lasting power of the scent (most cologne only have low amounts of perfume oil, whereas these are made with the same levels as high-end parfum). If you are looking for a new signature scent that’s anything but generic and will see you through spring and summer with a smile on your face, these could be just the thing. Will you be picking up a bottle for this summer?